On Monday night, WWE fans saw a potential preview of what’s to come in Sunday’s brutal Elimination Chamber 2018 match. The seven male superstars who will compete in that match were put to the test in a Gauntlet Match on WWE’s Raw program. In particular, one superstar lasted for a surprising amount of time, while one other claimed the victory. If that wasn’t enough, one superstar set a new record in the history of WWE Raw matches. As Pro Wrestling reported for their Raw results on Monday, the Gauntlet Match would kick off the program. Starting things off were the two Shield teammates Seth Rollins and Roman Reigns. They would engage in a 20-minute showdown with Rollins going for a Curb-Stomp late in the match. As Reigns avoided it, he rolled Rollins up into a pinfall only for Rollins to escape it and do the same to Reigns for the win. Reigns stayed in the ring a bit to gather himself, eventually acknowledging Rollins with a fist bump before John Cena’s music played and he came to the ring next. 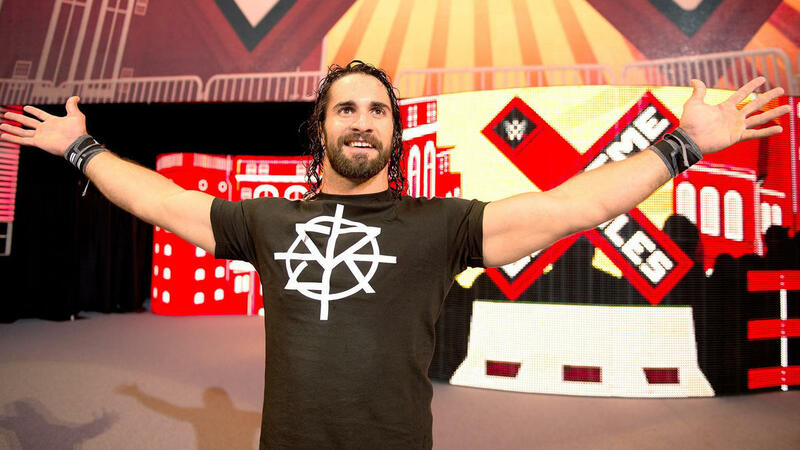 Surprisingly, Rollins was able to outlast Cena in another 36 minutes of the match. The finish saw Cena go for the Super AA from the ropes, but Rollins elbowed his opponent to escape. Rollins was able to go for a Phoenix Splash, but Cena moved out of the way. Still, Rollins landed on his feet. Cena was able to hit yet another AA and then tried for another. Rollins avoided the attempt and hit his Curb-Stomp finisher to pin Cena. As of that point, Rollins had been in the ring for nearly an hour. The fourth competitor in the match was Elias. He and Rollins would end up battling for almost 10 minutes with Elias getting the better of a worn down Seth Rollins. At the 65:35 mark, Elias was able to hit his Drift Away finisher. With that, Rollins was eliminated from the match after an impressive showing where he lasted over an hour, after pinning both John Cena and Roman Reigns. The fifth entrant in the Gauntlet Match was Finn Balor. Since he and Elias were relatively fresh, they had another 18 minutes of action in the ring. Balor gained momentum after a commercial break and was able to hit the Coup de Grace for the pinfall win. It was mentioned that Elias had been attacked by Strowman with a bass guitar which led to him having taped ribs, and that was precisely where Balor hit the finisher on him. WWE Intercontinental Champion The Miz would come out as the sixth competitor in the big match. However, when his music hit, Bo Dallas and Curtis Axel arrived out instead and looked like they were going to head to the ring to attack Balor. Instead, Miz snuck up behind Balor in the ring and attacked him. The two opponents would end up battling until the 96-minute mark when Miz hit a Skullcrushing Finale on Finn after some interference from Dallas and Axel. That eliminated Balor from the match. That meant there was only one man left for Raw‘s Gauntlet Match. “The Monster Among Men” Braun Strowman was the seventh and final entrant into the match to The Miz’s horror. Miz tried to run off, but Strowman chased him down, eventually grabbing him near the stage to bring back towards the ring. As the match went for another 10 minutes, The Miz managed to hit a Skullcrushing Finale. Strowman kicked out of it at the referee’s two count. Strowman tossed Miz to the outside onto Dallas and Axel. Once the Intercontinental Champion got back into the ring, Strowman clotheslined him before delivering the powerslam for the win. With that, Braun Strowman was the final man in the Gauntlet Match. In its entirety, the match went nearly 107 minutes, making it a classic Raw match. Fans would have to reach far back into the Raw archives to find a match that lasted this long and may have been as good. However, back on April 23, 2007, there was a classic bout involving Shawn Michaels and John Cena on Raw which went 55 minutes and 49 seconds. A match on the July 28, 2004, episode featured then-champion Chris Benoit versus Triple H in a 60-minute Iron Man match. However, neither of those matches topped tonight’s match with a total running time of 106 minutes and 55 seconds overall. Also, Seth Rollins lasting in the match for as long as he did was a testament to how he should still be considered a main event superstar. After his elimination, he received “Thank you Seth” chants from the crowd in appreciation. That performance has to leave fans wondering what might be in store for him on “the grandest stage of them all” as there haven’t been too many rumors involving Rollins’ opponent for the event. Could it end up being Finn Balor vs. Rollins in a classic match at Mania? Either way, the Gauntlet Match certainly gave fans an exciting preview for Sunday’s Elimination Chamber 2018 pay-per-view, and if that match can compare to what was seen on Monday night’s Raw, fans are in for a treat on the WWE Network.